By using our TCP-IP server you can connect you power generator to the Internet. You can connect a twisted cable to our TCP-IP SERVER. 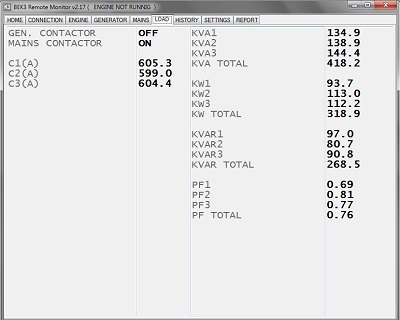 You can download our free of charge software for generator monitoring through Internet. You will transform your power generator into a virtual power generator web site. You can connect a twisted cable to our BE16 transceiver. 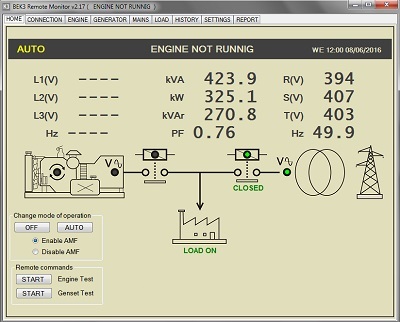 You can control your diesel generator using a mobile phone by typing a set of generator monitoring short messages commands (SMS). You are required to us a MODEM fitted with a normal SIM. By using our RS485-USB converter you can control your power generator via MODBUS. You can connect a twisted cable to any compatible MODBUS generator controller. 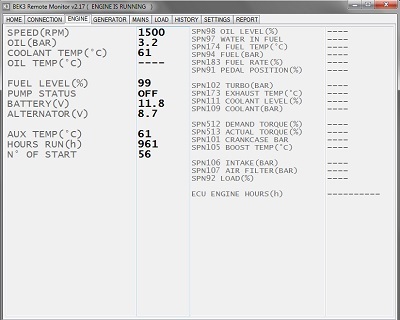 You can download free of charge our software for generator monitoring via MODBUS. 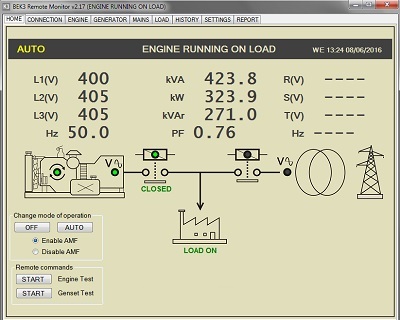 You can integrate your power generator in your factory automation system. Connect the generator controller to the TCP-IP Server. Connect a router and then you can access your diesel generator via Internet. The ultimate TCP-IP server technology, delivers complete monitoring to minimize downtime and maximize performance of your power generator. 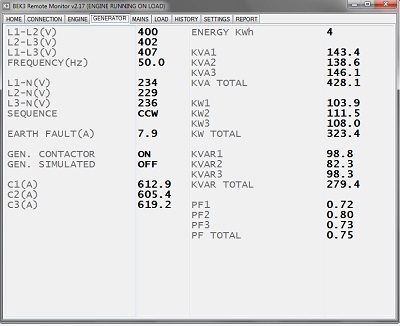 Through cost-effective Internet technology, you can monitor your power generator 24/7. If a problem issue arises in your power generator, the TCP-IP server sends messages instantly to designated recipients. You are required to set-up appropriate warning (example Over Current Warning). Before serious problems arise, you've the time to prevent catastrophic damage. This is the most simple generator monitoring system, all you need is a computer, RS85-USB converter and some cable. In this example BE142 AMF ATS controller. Connect the genset controller to RS485-USB converter by using a twisted cable (max 1000 m.). Connect the computer by using an USB cable. The Be142 allows you to make state-of-art automatic mains failure panels. By purchasing the RS485-USB converter you will get an high performance AMF control panel. 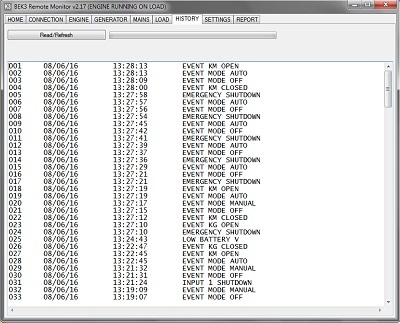 For each controller, in addition to the MODBUS documentation, we supply ready for use software. Click on the images to get more information.